She holds a degree in Archaeology (University of Rome, IT) and the MA in Museum Studies (University of Leicester, UK). 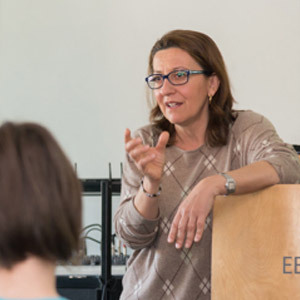 She is president of ECCOM (European Centre for Cultural Organisation and Management), an organisation founded in 1995 which carries out research projects at a national and international level on the issue of the social role of culture and of the impact of lifelong learning processes within the cultural sector. She has been involved in several EU funded projects and studies and she took part in the “Study on Audience Development” funded by the DG Culture and Education of the European Commission. She lectures in many post-graduate courses and Masters and is member of the board of directors of Culture Action Europe and Teatro di Roma. Darko Lukić, Ph. D., theater scholar and author, worked as tenured professor at Academy of Drama Arts University of Zagreb, department of cultural management and cultural production, as a guest professor at Faculty of Philosophy University of Zagreb – doctoral studies of theater, film, literature and culture, and at Karl-Franzens-Universität Graz (Austria) – Institut für Slawistik. As a teacher, trainer or mentor also worked in Brazil, Bulgaria, Costa Rica, Croatia, France, Germany, Italy, Romania, Slovenia, Spain, USA, United Kingdom and Venezuela. Actually works as mentor and trainer at the Audience development and capacity building programs in Rijeka 2020 European Capital of Culture. His education includes BA in comparative literature and philosophy, MA in dramaturgy, and PhD in theatrology. Also is certificated TQ trainer, and e-learning course designer. His further education and training includes Tisch School of the Arts – New York University, Institute for Theater Anthropology – University of Copenhagen, European Academy for Culture and Management in Salzburg, and many seminars, workshops and educational trainings in Europe, USA, South America and Asia. Member of the Council for Drama, Dance and Performing Arts at Ministry of Culture of Croatia from 2017. To present. 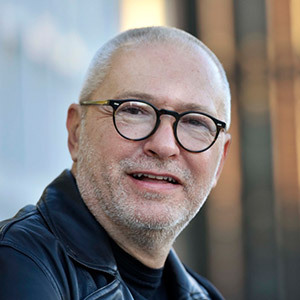 Also was the President of Council for international and EU cooperation at Ministry of Culture of Croatia (2012-2016) and member of Performing Arts Council City of Rijeka (2012-2015).